1960s-era provisions that allow a state to take over 66 per cent of farmers’ land for a new project should not have any place in India’s rule book today. Agricultural land ceiling laws in India harm investment in agriculture sector and penalise farmers from making improvements to their land. 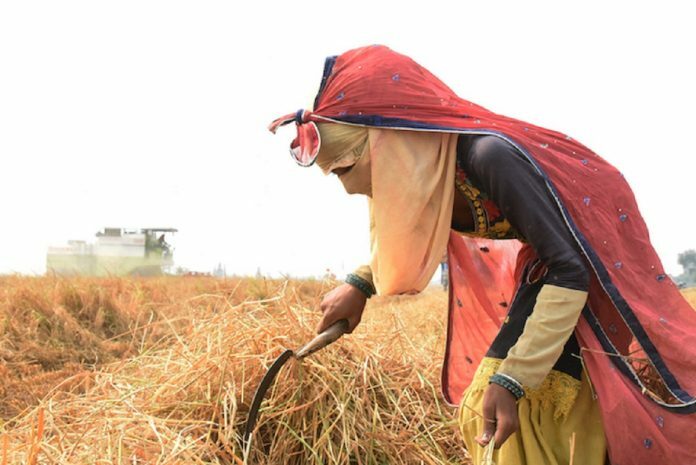 After stifling farmers’ income and avenues for growth for decades, these laws, which differ from state to state, continue be a reminder of the time the zamindari system was abolished to distribute land among the landless. That era may have seen zamindars with vast tracts of land losing ownership, the continuation of agricultural land ceiling laws today are not expropriating big landholders anymore but the small farmers. For instance, an irrigation project in Maharashtra would require the state government to take away 66 per cent of farmers’ land near the project site. The agricultural land ceiling laws were enacted in the 1960s after the abolition of the zamindari system. There were some amendments to the Act in the following decade. But for various reasons, the redistribution of land did not take off in most states, even as the legislation that puts a limit on how much land a family can own continues to remain in force. This limit is also dependent on the type of irrigation facility available for the land. If the land is irrigated for two crops a year (perennially irrigated), the amount of land that can be held is the lowest. If irrigation is available for one crop a year (single crop land), farmers can keep a higher amount of land. If the land is not irrigated (dry land), the limit is the highest. The limit of land holding varies from state to state. For example, in West Bengal, the limit on perennially irrigated land is 5 hectares and dry land is 7 hectares. For Haryana, it is 7.25 hectares for perennially irrigated and 21.8 hectares for dry land. In Madhya Pradesh, it is 7.28 hectares and 21.85 hectares, respectively. Some states like Andhra Pradesh have sub-categories within these limits depending on the district where the land is situated. For most states, the ceiling ratio of dry land to perennially irrigated land is 3:1. The land ceiling laws may have allowed for re-distribution of land in the past but today, they act as a barrier to the growth of farmers’ income. Successful farmers who own land as per the ceiling limits are unable to buy more land and increase their income. Land ceiling laws prevent normal economic growth where efficient producers can acquire more means of production (land) to increase their outputs. Land ceiling laws prohibit not only owning agricultural land but also leasing such land. On the other hand, fragmentation of land is guaranteed due to inheritance. Successive generations must divide the inherited land among the siblings. Each sibling may purchase land up to the ceiling but not more than that. Some land ceiling laws, like Maharashtra’s, state that if the farmer builds a tube-well with a pump privately (after 1972), it does not change its categorisation from dry land to irrigated land [Section 2(e)(3)]. This encourages farmers to tap groundwater and carry out improvements on their land. However, if the state government builds an irrigation project near such dry land, the land ceiling laws apply. As a consequence, a farmer holding 21 hectares of dry land (with pump irrigation) has to hand over 14 hectares (roughly 66 per cent) to the state. At that time, pumps were not prevalent. However, 50 years of rural electrification, subsidised diesel and other developments have made pump irrigation ubiquitous in India. Today, where most plots are perennially irrigated through pumps, an irrigation canal will not substantially increase the production/income of a farmer. However, any irrigation project will result in the state taking away 66 per cent of a farmer’s land because a new canal has been built next to his/her land. This is cruel. Losing more than half of the primary income generating asset would be a severe stress on anyone’s income. One could even argue that such a law violates the right to carry out a profession under Article 19 of the Constitution. However, agricultural land ceiling laws have been placed under the 9th Schedule of the Constitution, which prevents the courts from striking them down. Pump irrigation on individual plots of land is expensive, inefficient, and unsustainable. Groundwater depletion is rampant across the country. Some have prescribed sustainable canal irrigation as an alternative. Declining public investments in irrigation has been pointed out to be a problem by economists. However, such analysis and policy recommendations ignore the legal consequences of an irrigation canal — up to 66 per cent loss of land for the farmer. From this perspective, irrigation projects do not seem to be the real game changer they are touted to be. Agricultural land ceiling laws have outlived their use. Even if the original redistribution system from the zamindari era was the desired outcome, the time for that has passed. Today, the land ceiling laws are affecting small farmers. The interplay between irrigation and the ceiling laws is just one of the perverse outcomes of such laws. Seven decades have passed since the Republic was established. It is time we repealed these laws and allowed farmers the freedom to grow economically. The authors would like to thank Barun Mitra and Makarand Doijad for valuable insights, and Karan Gulati for research support. This article is third in a series by the authors on the need to repeal some old laws. Read the first and the second here. The very basic flaw of the article is underplaying the importance of agriculture and of the farmers dependent on agriculture. If for the sake of economy, the country would sell all the land for factories and forcing farmers to other “respectable jobs”, what will you feed to 1.4 Billion people? Bricks!! The Article represents the true negative impacts of the land Ceiling law that drags our economy down. Marginal farming has been promoted for decades in India, removal of this archaic law will provide farmers an opportunity to grow by buying or leasing more land. Land ceiling keeps the farmers locked in a cyclical cycle of agricultural poverty which is used by politicians again and again for their own political ambition. Anil provided a complicated solution to the problem while the real solution is very simple, abolish the land ceiling laws. The only thing that I agree with him on is the fact that in 21st century, Jobs bring progress not agriculture. If agriculture was such a fruitful career option then people would skip college and do farming, the fact is that it can barely feed a small family, add land ceiling laws on top of that and you’re stuck with few acres and a lifetime of debt + sorrows. The Government should create laws that protect the farmer’s land ownership and at the same time allow the farmer to lease his land to a farm cooperative (LIKE IN ISRAEL). Farm cooperatives should be allowed to run like businesses. 2) Require that the cooperative hire the farmers or their family members to work on the farm as long as they meet the eligibility criteria for the work. This will free the small farmer from struggling to run a farm with seed, fertilizer and other expenses on loans, earn a lease each year, and be free to work at the cooperative for pay or find other employment. The farmer will find free time to live a life, relax and have time for children. The farmers land is protected and the only risk they have is that they lose a year’s lease in case of default and their lease breaks and their farm is returned to them. The cooperatives are run by hopefully people who understanding farming and business better. And large holdings allow for modern farming and higher profitability to pay management, labor and farmers and hopefully build a cash holding for future investments by cooperatives to purchase their own land and keep growing larger through more leases and more land holdings. Ownership into cooperatives must be restricted to farmers who joined the cooperative and who sold farms to cooperatives. This is the only way to keep India’s farming strong and producing food for India. Most farmers in India can only sustain themselves. And a few bad seasons gets them in debt forcing them to sell their farms. The other real life problem is handing over farms to children as inheritance. The farmer in say 1950 started with a farm holding that was restricted to say 100 wighas. By 2020, that farmer is on to the third generation. If the farmer had an average of two sons (girls usually are married of and dont get a share), the farm holding gets reduced to 25 wighas. Now with the smaller farm holding, it makes investments into good machinery more expensive per wigha. And the farmer does not earn enough to increase farm holdings. Just enough to sustain themselves. So the next generation gets 12.5 wigha and the next 7.25wigha. Depending on the quality of the land and how it is managed, it ultimately becomes impossible to live off the land. AND THAT IS THE REAL PROBLEM OF FARMERS TODAY. They dont make enough to send their children to school. And if they do, they dont find jobs unless they got into engineering or medicine or a profession with easier employment opportunities. The article has it all wrong. I am a first generation non-farmer who holds ancestral lands that are leased out. Land Ceiling has not prevented farmers from growing. Farmers dont invest in farming. The returns on invest are worse than holding a CD, which returns more and is guaranteed even when it rains or does not rain on the bank holding the CD. It is businessmen who invest in farms to hide their black money and rich people; politicians and Amitabh Bachaan who want farm houses for prestige. And while the CD is earning money and growing; I can find other work. THE PROBLEM is when the farmer cant find other employment and only labor jobs that are not as respectful as having your own farm. Then there is the problem that only a farmer can buy a farm. And if that was repealed; farms would be owned by businessmen and politicians and government employees with their black money!